Airbus Helicopters presents its latest innovation for medical emergency services operators. The twin - engine EC145 T2 is showcased at the AIRMED World Congress in Rome, Italy with new HEMS and mountain rescue equipment, presented as a full - scale mock - up developed in cooperation with the Mecaer Aviation Group equipment supplier. To increase the EC145 T2’s adaptability in HEMS missions, Airbus Helicopters will introduce new cabin installation features that include the latest equipment definitions. 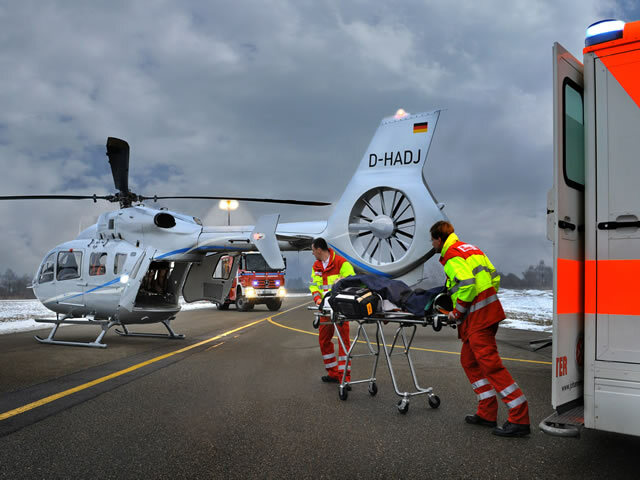 An innovative outfitting option, call ed EMS Fixed Provisions, has been developed by Airbus Helicopters for this 4-metric-ton category rotorcraft in coordination with leading emergency medical services equipment suppliers and integrators. This provides standardized interfaces for customized hardware and systems – reducing outfitting time and providing a more rapid service entry. After its introduction on the EC145 T2, the EMS Fixed Provisions concept may be adapted to other Airbus Helicopters rotorcraft.